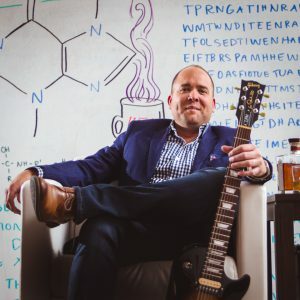 IHA caught up with Francis Skipper, partner at 451 Agency in Boston, to learn about digital marketing and how consumers are engaging with their smart devices, which he will discuss at the 2019 International Home + Housewares Show. At the Show, the Innovation Theater will feature 21 presentations over four days. Topics discussed will include design innovation, smart home, digital commerce, and global market trends. Francis, tell us a bit about yourself. I love food, so I became a chef. I love science, so I became chemist. I love to hack, so I became a programmer. I love to build, so I became the head of digital at 451 Agency. I’ve spent the last seven years curating amazing digital teams who crush marketing campaigns for Fortune 500 companies like they’re riding a fixie or drinking a latte. Millennials. I believe that every single thing in the universe can be explained with math. What drives me is the pursuit of the solution. We approach a digital campaign like an equation. It can have one solution set – or many. We do the math. We get the solution. Just like chemistry. I’ve never met a tangled knot I didn’t want to untie. Some people say I’m smart, but most of the time the answer comes when I imagine a fella smarter than myself. Then I try to think, “What would he do?” If you got that reference – we should be friends. My middle name is “Hustler” (actually, it’s Leon, but Leon is French for hustler. Look it up.) Whether I’m mixing up chemicals (cocktails), shredding on a Tobacco Sunburst Les Paul, grilling the perfect tomahawk steak, or hacking into your mainframe – I do it like Leon. Should you get to know us? You do the math. What is the most exciting or rewarding part of your work? What fuels your inspiration? It’s exciting to watch our industry evolve with emerging technologies like AI (Artificial Intelligence) and ML (Machine Learning). It’s also very inspiring to see the level of talent and intellect that fuels companies like ours. Mentoring young, eager and incredibly smart new marketers, who love challenges and problem solving, that’s what gets me up in the morning. The biggest impact to our company was realizing early on that an agency can only be truly integrated via analytics and measurement. From brand strategy and creative to PR and social, and ultimately, digital performance, the only way to prove value to clients and make the best business decisions is through analytics. Technology has and always will change constantly. If you don’t keep up, you’ll be left behind. Any tips for how to de-stress and find balance in the demanding 24/7 workplace? In an agency environment, we encourage remote work, so staff can keep their minds moving and their thoughts fresh. We also encourage and (join in) company-sponsored fun like bowling, boat trips and billiards. Also, taking time (15% to 20%) of your week to work on “you” projects – whether personal or professional – really helps your mind get used to switching gears. This is critical for staying sharp – at any job. I’m really excited to chat with other marketers and hear some great stories! Monday, March 4 • 11:30 a.m. – 12:20 p.m.
I’ll talk about connected speakers and smart devices and how brands can make an impact by adding this to their mix. Price. Quality. Friction. That is: how do I get that brand for the best price possible with the least amount of purchase friction in way that makes me trust the brand and the retailer (brick-and-mortar or online) enough to make future purchases. Can’t wait to tell you all about it during my session! Thank you, Francis, for this preview of your energy and approach. We look forward to learning from you at your session Monday, March 4 at 11:30 a.m., which will surely be inspiring. Your insights and tips will help marketers take on the challenges they face in their work. 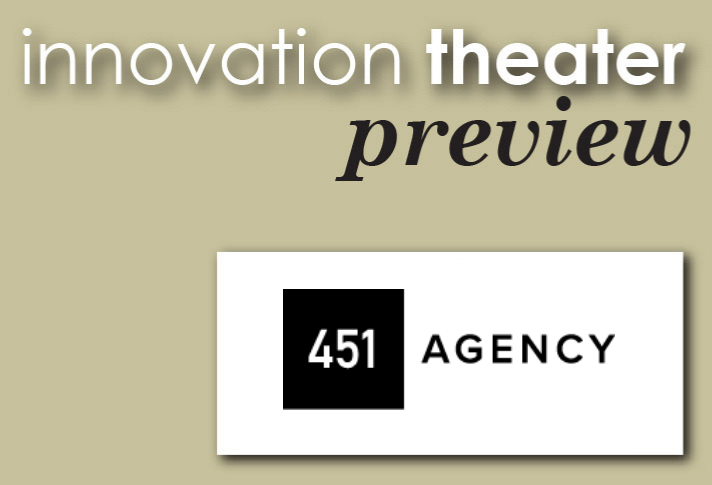 For more than 15 years, 451 Agency has excelled at driving success for their clients with PR and intelligent digital tactics and executions. They round out their offerings with top-level ideation, art, copy and branding. Learn from experts about how to invigorate your new products and services by enhancing your innovation efforts. Be sure to attend the free executive-level educational sessions at the Innovation Theater to hear about the latest research and analysis of home trends and developments for the smart home, kitchen, health care and other categories. These programs will give you a fresh perspective as you walk the Show and will inspire, inform and improve your business. All programs will be audio-recorded and will be available at www.housewares.org after the Show.